I love New Zealand for many reasons. I love the land, the people, the coffee, and the positive attitude held by a small, new(ish) country punching well above its weight in the world. Education is an area where this nation of just four million kiwis leads the world. This is for a number of reasons but an important element is the approach our national curriculum takes in directing schools to be relevant to the needs of today. So rather than discuss what curriculum should be, I write this post from the perspective of an educator who already works within a curriculum that is ready for the 21st-century and is already future focused. Unlike many others, the New Zealand curriculum is focused on developing capabilities in young people rather than particular content & topics. It is a short document of just 40 pages that acts as a general framework and asks each school to develop it’s own “local curriculum’ that best meets the needs of it’s specific learners. It also encourages schools to involve the learners in negotiating curriculum based on their own needs and interests. Our curriculum is divided into two distinct parts. The first 20 pages cover our values, principles, and key competencies which they apply to all schools. The aim of our curriculum is to develop active, participating, and connected citizens and this is the primary concern before any traditional learning areas or subjects get a mention. 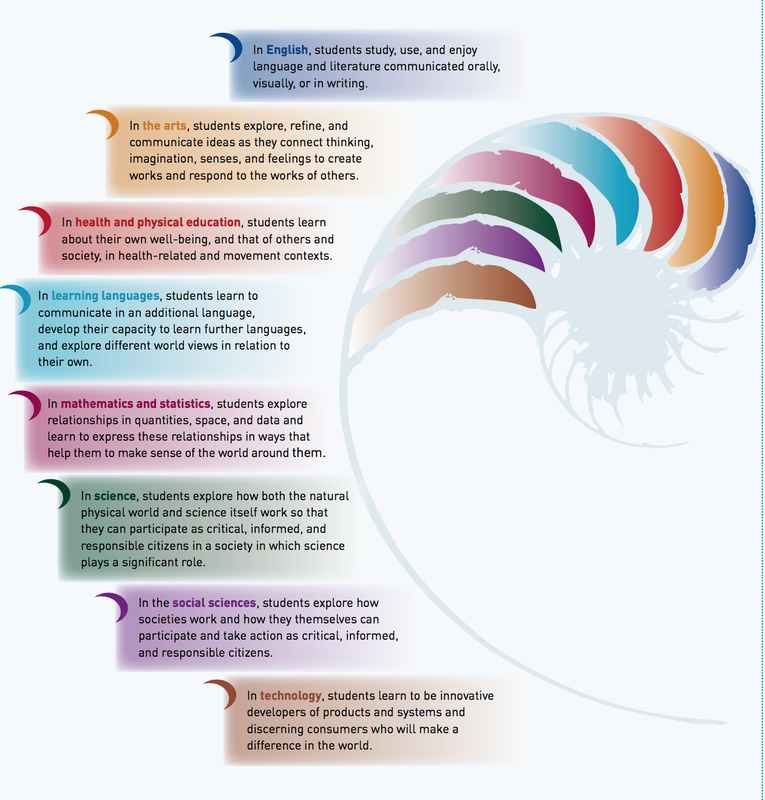 Even when we start to discuss the traditional silos of things like mathematics, science, and English, we do it differently. While the learning areas are presented as distinct, this should not limit the ways in which schools structure the learning experiences offered to students. All learning should make use of the natural connections that exist between learning areas and that link learning areas to the values and key competencies. Although schools, especially high schools, are still struggling to breakdown the silos, the curriculum supports and encourages them to make learning authentic, social and interdisciplinary. It then goes on to do much more though. It encourages schools to hand the ownership of learning to the students to design and control their day at school. I have previously posted examples of New Zealand schools who have enacted this approach to learning extremely successfully (and there’s many more in my book). The primary purpose of a curriculum is to outline what we want from the next generation in terms of character, aspirations, and capabilities. This is the only way to ensure the we maintain the joy of learning and thus the interest in those topics and content. Next #Teachers can change but can #Schools?